I used quite a few ” new to me” techniques on this card. 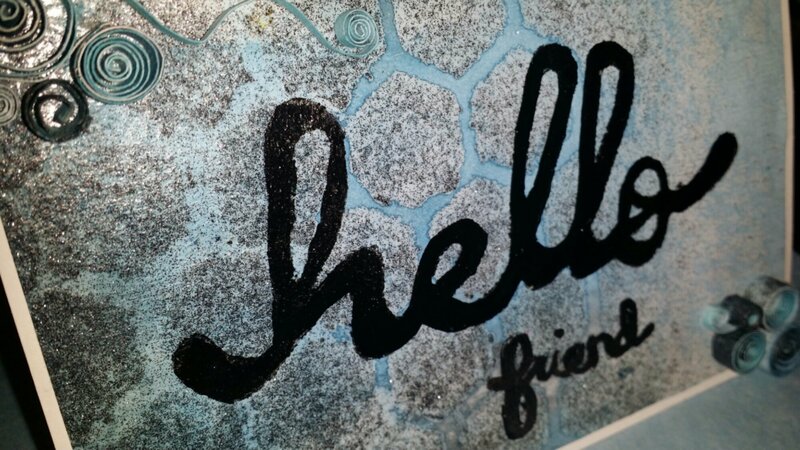 The “hello” was a stamp I carved myself out of silicone. I was curious of how silicone would work as a stamp. It wasn’t great and I had to go back in with a paint brush to make the image solid. I also used one of my hexagon masks with glitter acrylic paint and watercolors for the background. 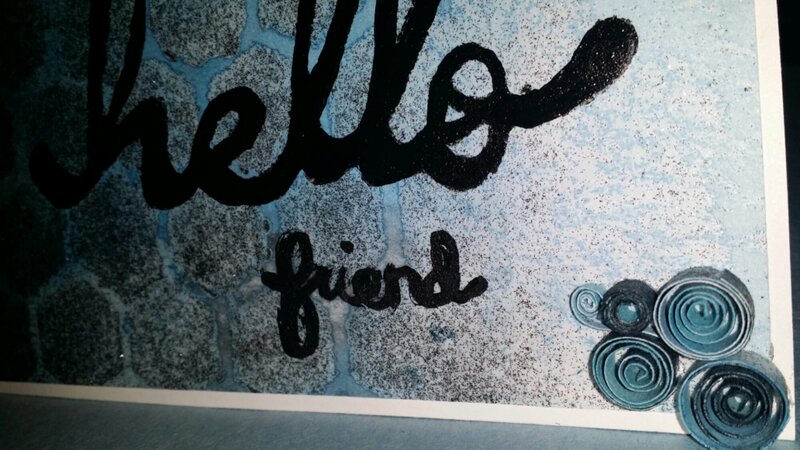 I made a tone gradient with the paint and the stencil and a color fade with the water colors. 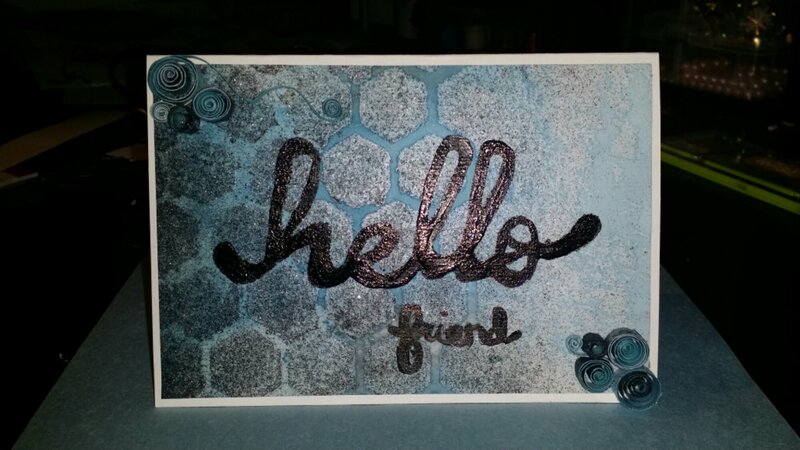 I’ve had a twilling tool for a while and I wanted to use it so I used the scraps I had left from cutting down the card to make the whimsical flowers. 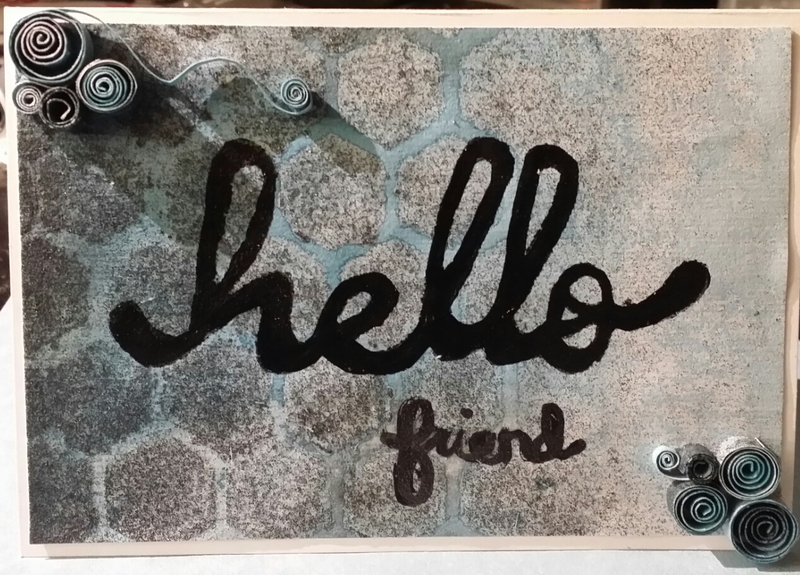 This card was fun to make , but if I did it again, I think I would use a different sentiment. I took some pictures with the flash hoping the glitter would show up. 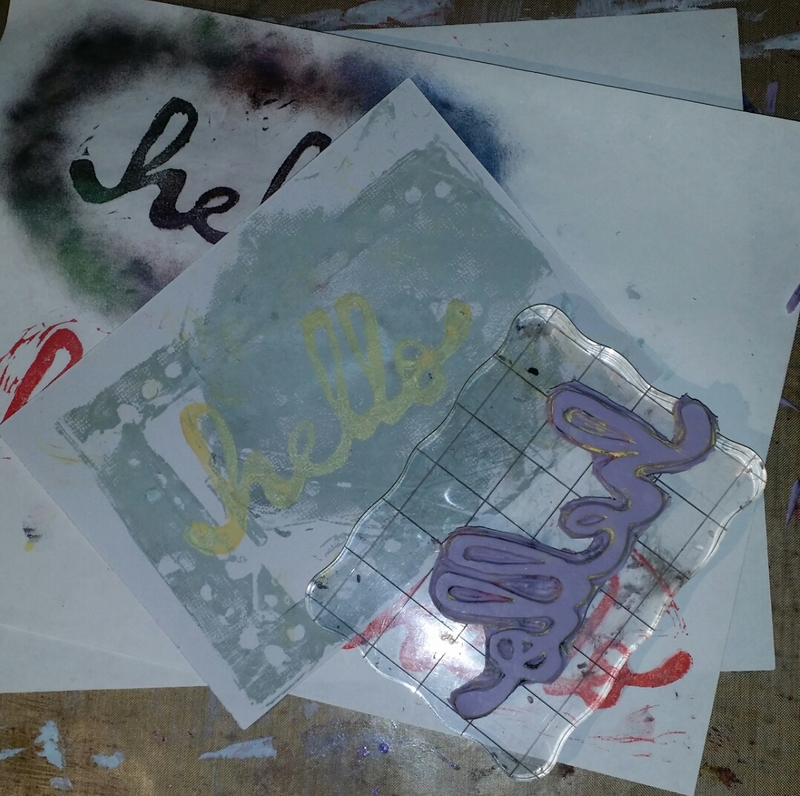 Above is a picture of me testing the silicone stamp I carved. It does seem like silicone would be a good choice for making texture in UTEE, so I plan on trying that some day!